Songs of Eretz Poetry Review is pleased to present three poems by Carol Lavelle Snow. All three were finalists in the 2016 Songs of Eretz Poetry Award Contest. Snow has an MFA in drama, taught college English for several years, and has directed plays and performed in various theatres, including playing Aunt Eller in Discoveryland’s production of Oklahoma! for eleven summers. Her scripts have appeared on the Narrative Television Network and at Spotlight Theater. Snow has published The Search for Hezekiah’s Gold, a western novel, and The Gray Warriors, a book she and her husband wrote about his experiences working with the DEA in Peru. Her poetry is online in magazines such as Writer’s Haven, StepAway Magazine, and Ancient Paths Literary Journal and in print in several journals, including The Lyric, Harp-Strings Poetry Journal, and Crosstimbers. Rain gave no relief from the heat, no refreshing. to move or even think. as if addicted to the salt of tears. cool our passion and nurture what we were planting. Poet’s Notes: In the spring of our lives, we look at love through fairytale eyes. Hurts that may seem life threatening are usually superficial and heal easily with time. But after you’ve met and married your Prince Charming, you may find that your “happy ever after” has turned into scenes from an Italian opera. “Summer Love” reflects the pathos of a love shared by two people who are fairly mature in years but still too immature to really know how to care for each other. Editor’s Note: Snow captures the rush of emotion and drama of summer love well here. I particularly enjoy the way she plays on steamy words such as: heat, heavy, hot, moist, and blanketed. The salt of sweat turning into that of tears is breathtaking. “Summer Love” first appeared in 2008 in Dream Catcher, a self-published poetry chapbook. obscuring trees and grass and pier. to fight against night’s quiet chill. Poet’s Notes: This poem first came to me as a visual image--a lake at night. Tall grass grows along the bank and an empty wooden pier stands near the shore. The scene is quiet, washed over with blue. And lonely. Because someone has left from that pier and may not come back. I think we’ve all been surprised at how much a friend can change over the years, change so much that we don’t even recognize him or her at a class reunion. What is worse though is that often we no longer have anything in common with that person we were once close to. 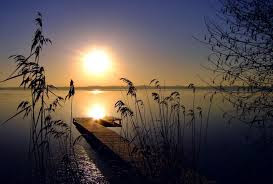 Of course, lovers, even husbands and wives, can grow apart during separations too, and separation is especially painful for the one left at home if the other travels off to new experiences and challenges, to new worlds, lighted by stars, by suns, the one left behind can only guess at. This poem is about the pain of separation and the fear of what separation can do. Editor’s Note: I enjoy the way Snow uses refrain in this lovely poem. The rhythm is flawless; the rhyme scheme simple yet elegant; the message poignant and universal. “So Silently” was first published in The Lyric, Winter 2012. 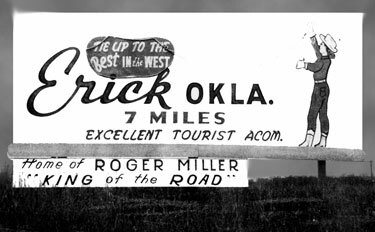 My aunt and I leave Erick, Oklahoma, and drive south on Highway 30 across flat farm and ranch land--very few trees, just sky from one horizon to the other—until we reach what the locals call “the breaks,” land broken by canyons and arroyos—a favorite haunt of outlaws in the good ol’ days. “Once the sheriff came to our house to get Uncle George to help him find a couple of men out here,” my aunt says, squinting her eyes against the glare of the sun. From there we go to Willow, a one-cafe town, its streets swept clean by the wind, its few houses bleached by the sun. In a small building beside the Baptist Church we meet the minister, my aunt’s cousin, my cousin too, I guess, and attend a Bible study. Sparse, gray hair, tall and thin, he’s a pleasant, friendly man. My aunt introduces us, and he gives me a hug. They talk about his recent trip to Africa. He’s spent many years there and knows the languages of the areas he visits. The other people arrive—a young man, earnest, intelligent—and a dark woman in her 20’s or 30’s, who watches the rest of us in fear as we open our Bibles and chatter away. She’s afraid we’ll expect her to say something. Sunday finds us close to the Texas border in Hess. In fact, Hess was originally part of Texas, because someone mistook a fork of the Red River for the actual river and got the boundary wrong. My great grandfather may have started the Hess Baptist Church in 1889. We drive out to a grove of trees where the congregation first gathered. The church building was built later and still stands—a small but very nice church—solid and substantial. Everything else is gone—not even one cafe or store—not even a post office to mark this once prosperous town that sprang up near the Great Western Cattle Trail. I feel strangely at home here. Poet’s Notes: My father grew up in western Oklahoma, my mother in eastern Oklahoma. They met at college. He died during WWII when I was four years old. My mother and I lived near her family, and his family moved to California. So I had little contact with them. Then a few years ago his sister came for a visit and suggested we take a trip to western Oklahoma. This poem is about our trip. I’d had brief glimpses of the area from hints in his letters and diary, and I seriously doubt that it had changed a great deal since my father lived there. I don’t even remember seeing fast food restaurants in Erick, Oklahoma. Their house was gone, of course, but we visited the site where it had been and the ruins of the school they had attended. “Journey to the Past” is about our connection to place. A strong connection, even when that connection is through parents or grandparents. Editor’s Note: Haibun are not at all easy to compose, and this one is well done. I particularly enjoy the way the haiku enhance the narrative elements without simply continuing the narrative. “Journey to the Past” first appeared in Dream Catcher in 2008.